Informations Delivered in a matching tote bag. Close your eyes and dream yourself away to a tropical paradise with the sound of the soaring ocean in the background. The new Fruiticana series channels an exotic atmosphere with juicy fruits and fish fresh off the boats. 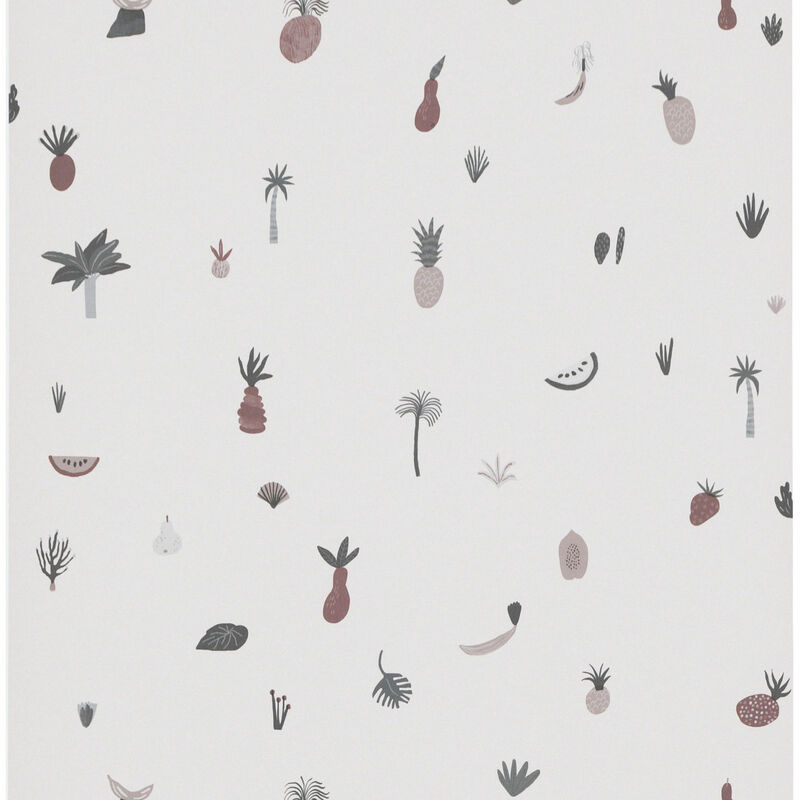 The Fruiticana wallpaper has fantastic detailing with little fruits and palm trees. The colourways are whimsical, yet kept in a dim hue which quietly blends into the kids’ room. The Fruiticana collection includes all types of products that will delight your children! 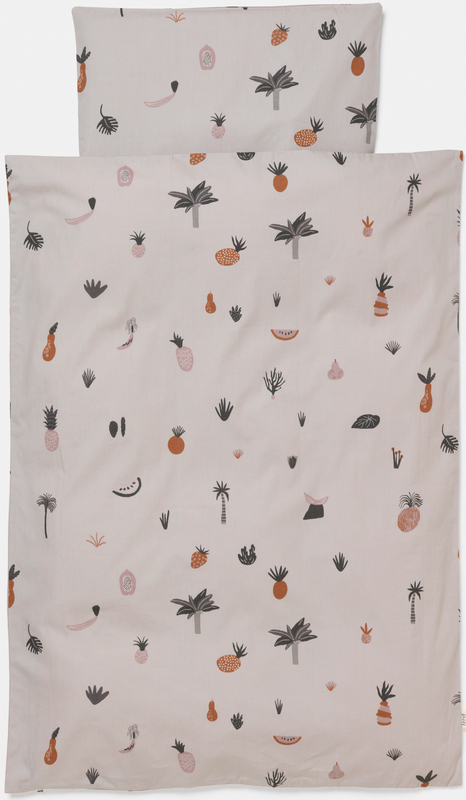 It includes soft rugs, playful cushions, comfortable throws, dishes, duvet covers etc.